Join us for FilmScene's popular NYE tradition to countdown to the New Year on Paris time and celebrate with cinema! 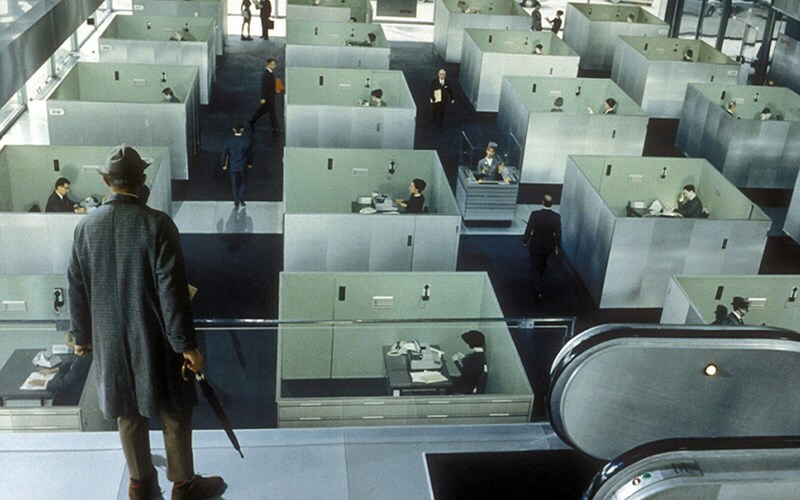 Jacques Tati's gloriously choreographed, nearly wordless comedies about confusion in an age of high technology reached their apotheosis with PLAYTIME. For this monumental achievement, Tati thrusts the loveably old-fashioned Monsieur Hulot, along with a host of other lost souls, into a baffling modern world, this time Paris. With every inch of its frame crammed with hilarity and inventiveness, PLAYTIME is a lasting record or modern era tiptoeing on the edge of oblivion. An absurd, life-affirming comedy celebrating its 50th Anniversary, PLAYTIME is a celebration and satirization of modernity from this acclaimed director.